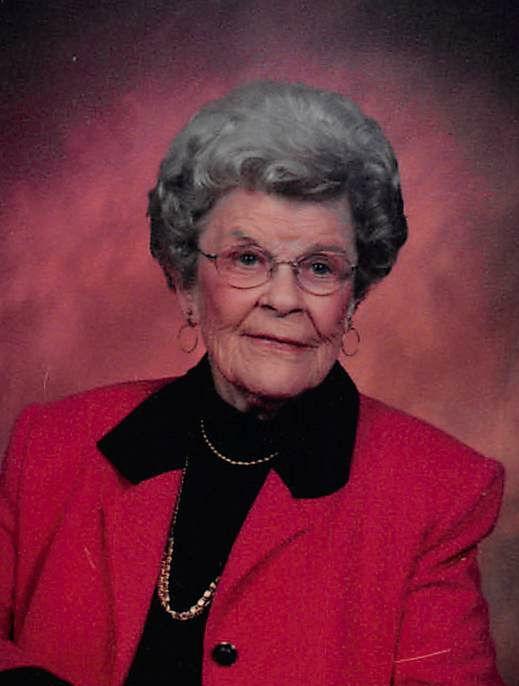 Clarice Long Bowen Porter, 99, entered into the presence of her Lord and Savior Jesus Christ on March 26, 2019. She was born on March 19, 1920 in Oak City, NC. She was the biological daughter of the late Mamie and Robert Long, but was raised by her loving and devoted parents, the late Hannah and I. Seavy Bowen. She was also predeceased in 1994, by her beloved husband of fifty-five years, James A. Porter. She was the last surviving member of her immediate family. Clarice was raised in Lakeland, Florida where her father practiced law. In her late teens they moved to Clinton, NC. Clarice attended Pineland College in Salemburg, NC, where she met her husband, James A. Porter. She was then blessed with another wonderful couple in her life, her in-laws, Beulah and Hughie Porter. Never having siblings, Clarice became very close to and felt very much loved by James A.’s brothers, John and Oscar “Doc” (both deceased). She was especially close to his sister, Sylvia P. Bauer Gardner. After living in New Bern, NC, for a few years, James A. was drafted into the military. They later settled back in Salemburg. Clarice was a stay-at-home mother to their two daughters in their early years, but she later went to work for Sampson County. She spent many years working for the Register of Deeds office and later for the Department of Social Services. She made many friends wherever she went and brought smiles and laughter to all those around her. Clarice was a dedicated Christian and was a long time member of Salemburg Baptist Church. She was a member of the church choir for many years, a member of the Senior Philathea Sunday School class, and was also involved with many other activities throughout the church. She loved God, her church, her family, her friends and Salemburg. She often said, “There is nothing like Salemburg Baptist Church, its people, and the town of Salemburg.” It was hard for her to leave home in 2006 and move to Spring Arbor Assisted Living in Wilmington, NC and later to Autumn Care Nursing Home. She returned to her home in Salemburg as often as possible, until her health declined. Clarice is survived by two daughters, Pennie P. Wood (Aubrey) of Wilmington, NC and Dianne P. Smith (Earl) of Spartanburg, SC. Pennie and Dianne were very close to their mother. They will miss her more than words can ever express. Other survivors include her five beloved grandchildren, who were her pride and joy: David Wood (Mary) of Pittsboro, NC, Wendy W. Holdsworth (Dr. Jeremy) of Wilmington, NC, Richard Wood (Whitney) of Arlington, VA, Dr. Scott Smith (Dr. Jana) of Simpsonville, SC and MaLee S. Thompson (Melbourn) of Easley, SC; nine great-grandchildren, Lincoln Wood of Sheppard Air Force Base, Texas, Rhett Wood of Raleigh, NC, Abby, Sam and Matthew Holdsworth of Wilmington, NC, Kylee and Connor Smith of Simpsonville, SC and Sydney and Porter Thompson of Easley, SC. She is also survived by her sister-in-law, Sylvia Gardner of Raleigh, three nephews; John Porter (Bonnie) of Alexandria, VA, Leonard Bauer of Banner Elk, NC and Steve Porter of Salemburg, NC; two nieces; Jo Lynn B. Byrd (Zack) of Raleigh, NC, and Martha Porter of Wilmington, NC and their children. The family will receive friends from 12:45 PM to 1:45 PM, Saturday, March 30, 2019, prior to the celebration service at Salemburg Baptist Church. The service will begin at 2 PM and will be conducted by Reverend John Adams. Interment will follow at Zoar Freewill Baptist Church, Salemburg, NC. In lieu of flowers memorials may be made to Salemburg Baptist Church, PO Box 537, Salemburg, NC 28385. Online condolences may be sent to www.crumpler-honeycutt.com.